If you don't find the answer to your question below, please feel free to contact us. Why have two cables on the ASTRA series? Why does my Apple keyboard F-keys not work? Is your Apple keyboards genuine? Does your Apple keyboard have two ports, like the regular Apple keyboard? Why does my keyboard not work? Do I have to install drivers? Does your keyboards come with any shortcut instructions? Does your PC keyboards work with my MAC? How do I change or fix keys on my keyboard? Do you ship to my P.O. Box? How to activate backlit keys on the ASTRA series. The backlit keys on the Mac ASTRA series can be activated by pressing FN + F5/F6. To activate the rest of the function keys on your mac ASTRA backlit keyboard, press FN + e.g. F6 or any other key in the function key row. Watch video here. Activate the backlit keys on your PC by pressing the dedicated key, located to the right of the spacebar and next the the "alt" key. The ASTRA keyboard is developed with two USB cables. One for the keyboard itself, and one for the USB hub, at the back of the keyboard. The reason for having a separate cable for the USB hub, is to avoid problems with installations, that require a KVM extender. To make all the functions keys working as Function keys, you must either press the Fn key (not present on Windows keyboard) and then the function key of choice, or you may use a preference for turning the F Key Presets on and off. 1. Click the blue Apple logo in your top menu bar. 3. Click Keyboard and Mouse. 4. Click Keyboard Shortcuts and scroll down to the function keys - remove the markings, then all the functions keys work with the keyboard. 5. Or use the check box for Standard Operation of F-keys. Read the full Apple resolution here or try out our simple instructions below at first. - Disconnect and reconnect your keyboard, or try to connect it to a different USB port. - Try a different keyboard with your computer, or your keyboard with a different Mac. - Try logging into a different user account. If the issue does not occur when logged into a different user account, then troubleshoot for software issues. We have both genuine Apple keyboards and own produced keyboards for Apple. Our backlit and ALBA keyboards for Mac, is not genuine Apple keyboards. Does your Apple keyboard have two ports like the original Apple keyboard? Yes, we only use the original Apple Pro keyboards. If you are connecting one of our keyboards with integrated hub to the computer using an USB extender (such as Blackbox IC400A, Gefen DVI 3500HD), the computer may not recognize the keyboard. The solution is to connect the keyboard directly to the computer. No, all keyboards come with predefined color coded shortcuts. Does your PC keyboards work with my MAC / Does a Mac keyboard work on a PC? Our Windows keyboard will definitely work on a Mac, since they are both USB compatible. The only thing you have to watch out for is, the Ctrl key is actually the Command key in the Mac, etc. 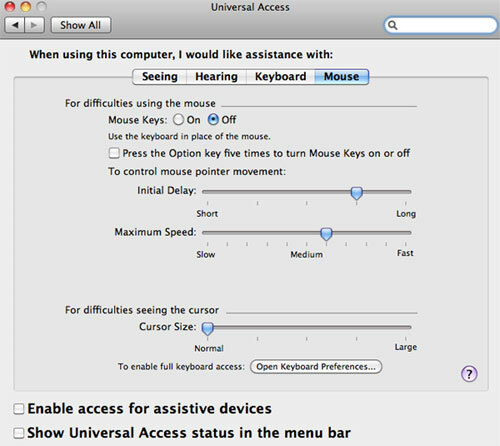 But you can remap the key with your Mac's keyboard preference and you are all ready to go. Yes, the Mac keyboard will work on a PC, but some of the keys are located differently on a Mac keyboard. But they are both USB compatible and therefore will work. How do I fix or change keys on my keyboard? From time to time keyboards will get dirty and small crumbs or similar can get stuck under the keys. In the following tutorials you will learn how to safely remove the keys on your LogicKeyboard. (If you have a Mac ALBA keyboard, please watch the Silver & Nero line video). Your freight cost is at all times listed just above the unit price of the product you are looking at. The shipping cost stated is covering all products you already have added to the basket including the one you currently are looking at. Please note, that the freight cost stated is for the most inexpensive option we have available to your country. A selection of other shipping methods might be available in the check out proces, for you to choose if you prefer a faster shipping method than the standard option. We aim to have all products shipped with track & tracable forwarder. At the end of the check out proces you will find a variety of shipping options we have available to your country. Yes, we can offer this, but we'll charge an administration fee for this service. Yes, www.logickeyboard.com uses Geotrust online security and trust solution for payment. Transactions make use of DanDomain Paygateway, which is approved and certified by Teller. All communications between DanDomain Paygateway and the cardholder goes through an encrypted SSL connection, which protects all exchanged data from being viewed by other parties. All exchanged data between DanDomain Paygateway and the Teller transaction server is encrypted as well. You can either pay by the most common credit cards, via PayPal or via bank transfer (invoice will be emailed to you for pre-payment). However, if you choose the bank transfer option a fee will be added to your order. Please note, that the bank transfer option will also delay your order as we need to receive your payment before your order will be processed. According to European Tax regulations, 25% Danish VAT (Value Added Tax) is added to purchases made from residentals and businesses staying within EC (European Community). Businesses within the EC with a registered VAT number can make purchases free of VAT if their VAT number is typed in in the order process. However, we will verify the VAT number used and if it's not approved your order will not be processed. Individuals as well as businesses staying outside EC are excluded from the 25% Value Added Tax.